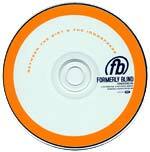 Formerly Blind, a pop/rock band from Kentucky, released their project Between the Dirt & the Ionosphere in March 2004. This album contains positive and uplifting lyrics partnered with some pretty catchy tunes. Although, at times, it's typical to expect the good with the bad when it comes to indie releases, each song on this release is enjoyable enough to make the album a worthwhile listen from beginning to end. The album starts off with the melodic rocker "Meaning of Life." As a celebration of what it means to live as a believer, the song's exuberant energy is matched perfectly by the enthusiasm in its lyrics, "To be loved by God and loving him back/That's the meaning of life!" Listening to this song, it's clear that the band's strength lies in writing upbeat, melodic music and this album shines brightest when the band kicks it up a notch. The two best songs on this record are definitely "Meaning of Life" and "Over & Over Again," the latter being a catchy worship song that wouldn't feel out of place sung by a youth worship band. The upbeat feel of the album continues with the songs "Lift My Hands Up," "Single Minded," and the endearing "Until You." In fact, it's only when the band slows it down that the album loses its momentum. While not boring in any way, the slower tempo songs just lack the infectious energy that makes the faster songs so addictive. Regardless, "Mountains" is an honest, acoustic-driven prayer to God, "On my own, I'm not enough/I'll just stand here and be still/Knowing that you are God.," while "Take It Away" is a beautiful, string-laden closer. Overall, I was very impressed with the songwriting on this project. This band definitely knows how to write good songs with solid melodies, and instantly memorable choruses. And while they're not all classics, there is not a single bad song in the bunch. Some will make you bounce, some will make you reflect, but most importantly, each song will leave you spiritually uplifted. Definitely recommended!